We are the prominent service provider of this domain and engaged in rendering Antivirus Software to our customer. In this service, we provide advanced software, which protects the data from being corrupt. 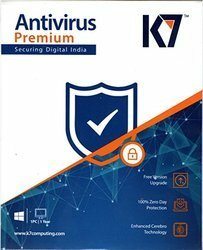 We take pleasure in introducing ourselves as leading firm by offering Computer Antivirus Software. Compatible With Laptop, PC etc. Ransomware Protection: The Anti-ransomware feature uses Quick Heal’s behavior-based detection technology that analyzes the behavior of programs in real time. This helps in detecting and blocking threats such as ransomware. As an added layer of protection, this feature also backs up your data in a secure location to help you restore your files in case of a ransomware attack. Web Security: Automatically restricts your access to websites that are infected and known for hosting malicious codes. Email Security: Quick Heal AntiVirus Pro gives real-time email security that keeps your inbox free of emails that carry malicious codes or infected attachments. Browser Sandbox: Running your Internet browsers in Browser Sandbox gives you an uninterrupted and secure browsing experience. 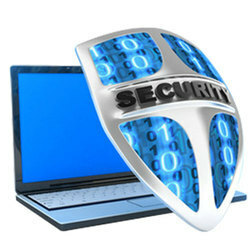 It provides Internet security by acting like a shield between the PC's operating system and malicious threats. Firewall: Firewall blocks external threats that try to reach your computer over the Internet. It also blocks threats that may arise within networks that are connected to your system. Besides allowing you to configure protection for incoming and outgoing Internet traffic, our enhanced Firewall lets you set a Firewall profile for network connections such as ‘Home’, ‘Work’, ‘Public’ or ‘Restricted’. It also includes the Stealth Mode which makes it difficult for hackers to trace your system. Malware Protection: Enhanced Malware Protection now runs stronger defense mechanisms against spyware, adware, keyloggers, and riskware. Anti-Keylogger: Keyloggers are malicious programs that record what you type on your keyboard. These programs are usually part of spyware that steal sensitive information. Quick Heal’s Anti-Keylogger feature prevents such programs from stealing your valuable data. Improved Scan Engine: The revamped antivirus scan engine avoids rescanning files that have not been altered since the previous scan. This results in faster scans and reduced usage of system resources. Advanced DNAScan: The ingenious Quick Heal DNAScan technology combines behavioral and characteristic inspection and monitoring of unsafe programs. It detects and blocks new and unknown threats that can inflict heavy damage on your PC. Flash Drive Protection: Automatically scans external storage devices for infections and other threats. Protects USB drives from autorun infections. Safe Mode Protection: Stops unauthorized users from changing Quick Heal security settings when the system is running on Safe Mode. Enhanced Self-Protection: Prevents Quick Heal's running processes and services from getting tampered by malicious users. Silent Mode: Suppresses all prompts and notifications from Quick Heal for uninterrupted PC usage. This does not affect the security level of your system. Import and Export Settings: You can export your Quick Heal security settings from a single computer and import it to other computers. This is helpful in cases where reinstallations or multiple computer configurations are concerned. Quick Heal Remote Device Management (RDM): The RDM portal lets you manage your Quick Heal products. Via the portal, you can view the security status of the products, renew, and manage their licenses. TrackMyLaptop: Quick Heal TrackMyLaptop Service helps you track your laptop if its gets lost or stolen. The service is a social initiative that comes with every desktop product of Quick Heal at no extra cost. Looking for Antivirus Software ?